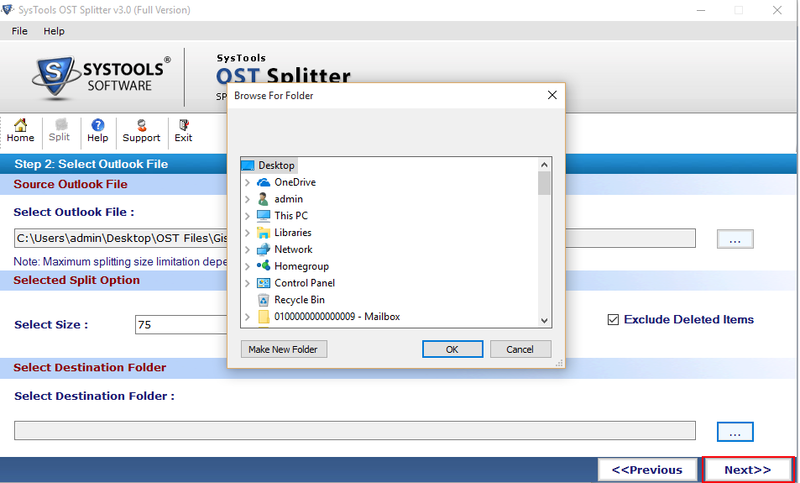 Launch the software from start » All Program » Split OST File Tool . 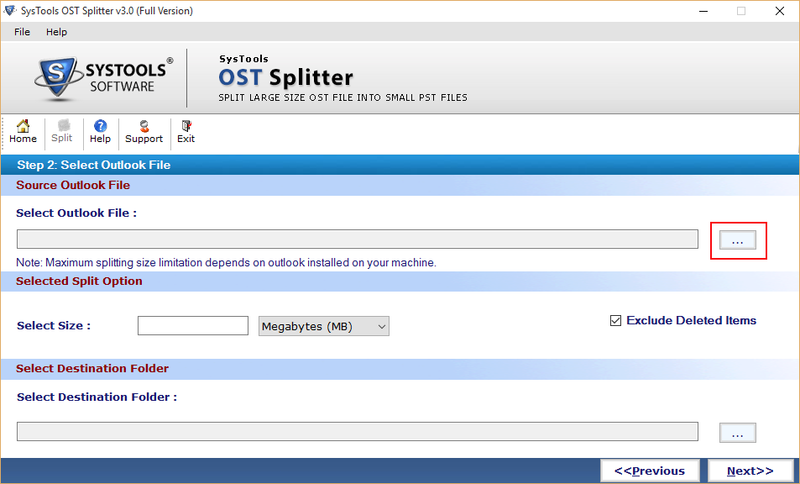 Click Split tab from topbar of the software window wizard. When You Select Split by Size Option then Following Windows Open up. 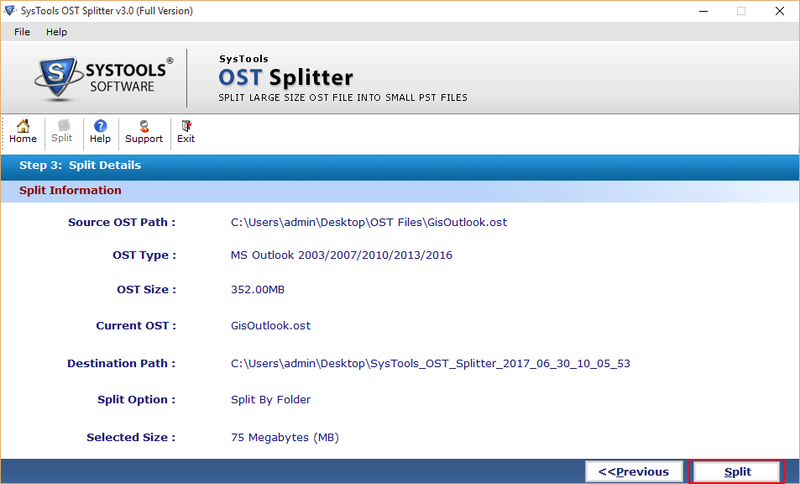 You can split OST file according to the size of OST file. 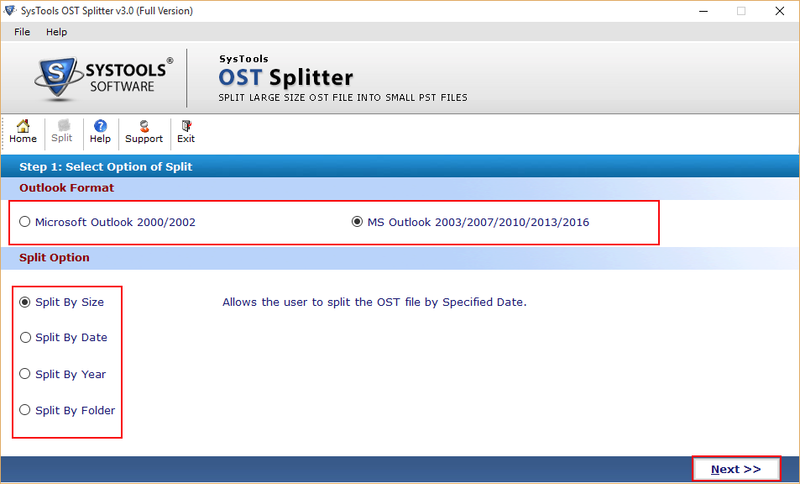 You can use Split by Date Feature to Split OST file as per date range. 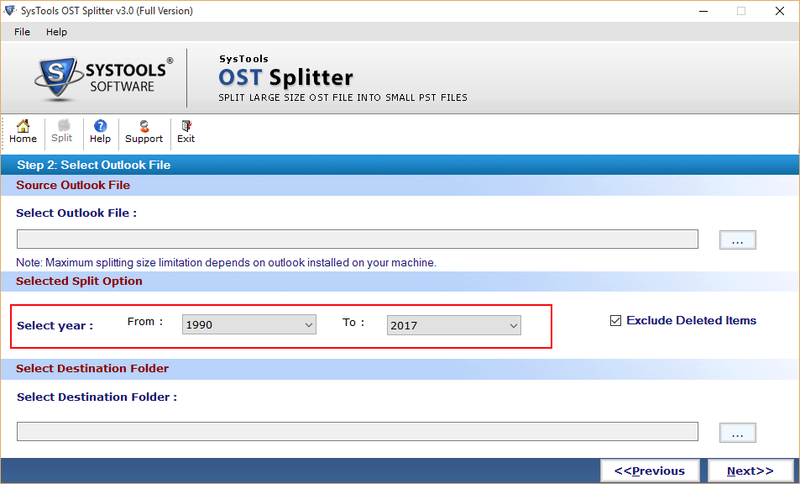 Split by Year option will help in case you want to split OST by specified year. The Folder split option helps you to create the Separate file for each folder contained in OST File. 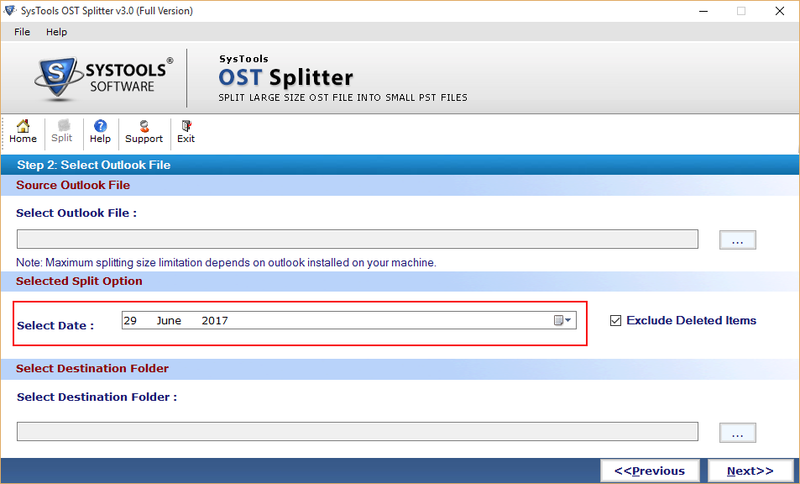 Select the Destination to save the resultant OST after the completion of the process. 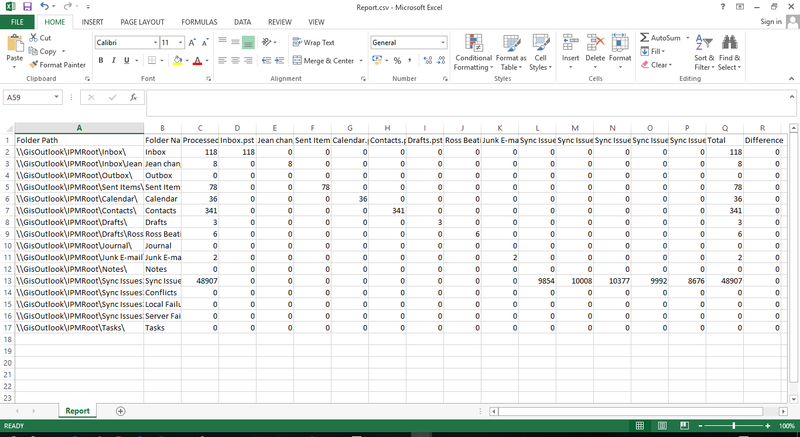 Then Click on Next to proceed further. 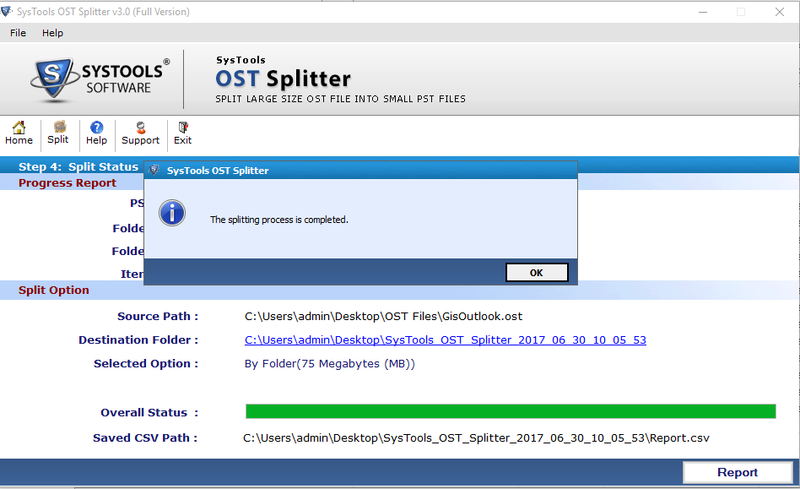 Click on the Split button to initiate the process. 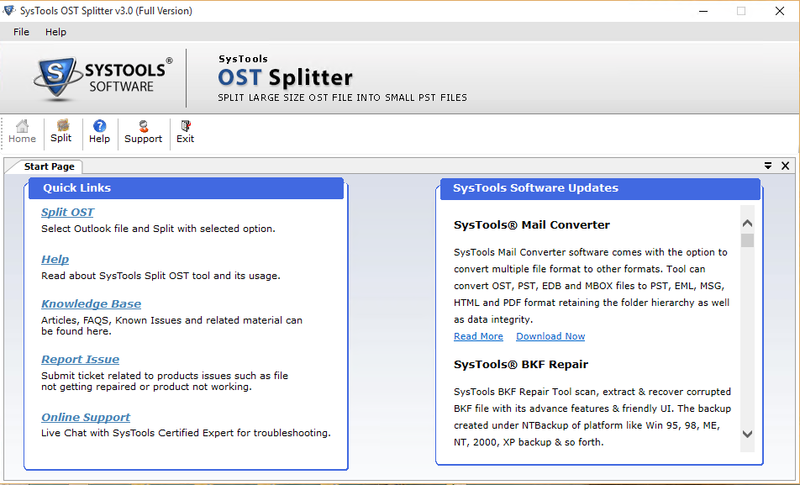 The Summary of the Whole process is shown by software. 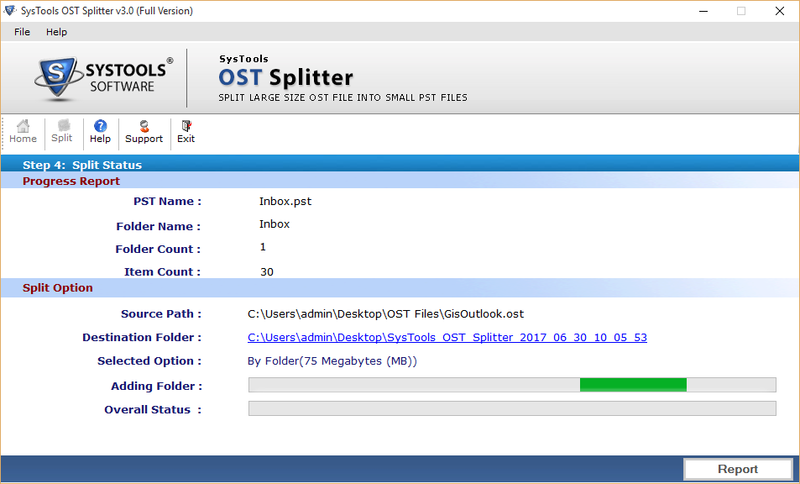 The Split Process is completed. 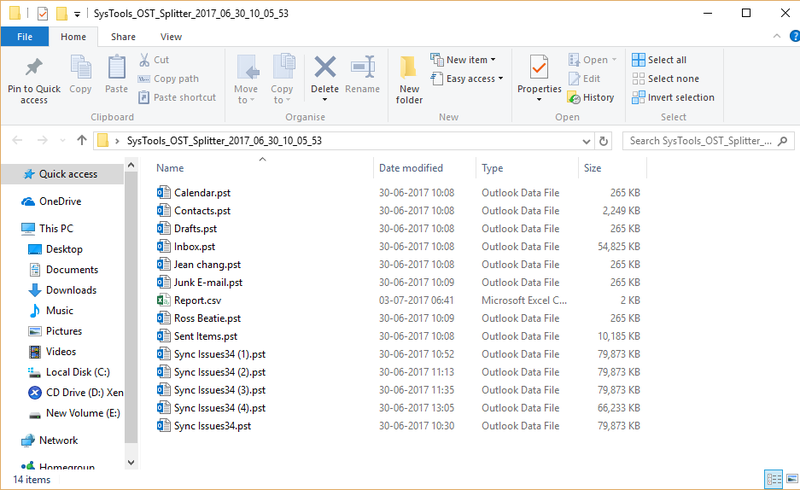 Click on move ahead. 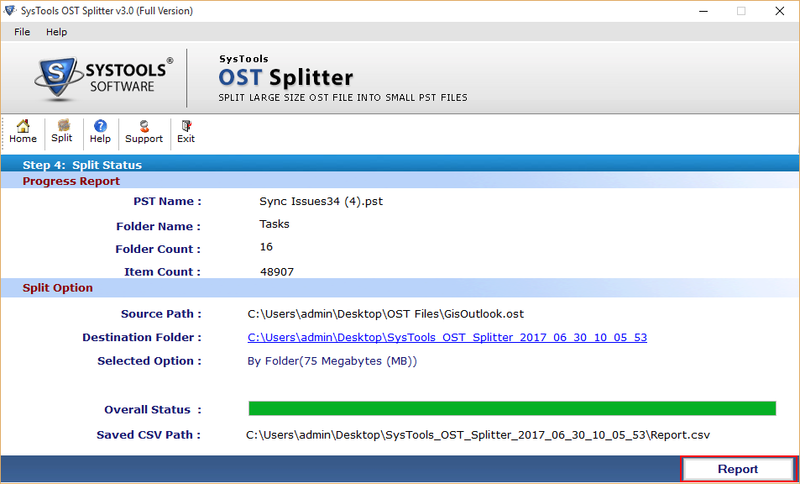 Hit on Report Button to save the Complete report of the split process. View the complete Report at the end.